Ivor Sokolić discusses his new book publication ‘International Courts and Mass Atrocity: Narratives of War and Justice in Croatia’ and explores why universal human rights norms struggle to take hold in post-conflict societies. Efforts by international organisations to instil universal human rights norms in post-conflict societies often fail because such efforts ignore the localised complexities they operate in. They expect legal mechanisms to produce political change and, through a trickle-down effect, a change in everyday culture. This assumption has proven to be tenuous and overly mechanistic. Clearly successful cases are rare, whereas those with negative or no effects seem to define the field. The case of Croatia exemplifies this. War crimes trials operated in the context of a vivid and emotional memory of recent conflict, expressed through the dominant war narrative, which hampered and distorted the spread of human rights norms. When dealing with an exceptional crime, such as mass atrocity, the extra-legal and pedagogical (also known as expressivist) aims of both international and domestic war crimes trials become prioritised together with the more traditional aims of deterrence and retribution. When these trials are effective as public shows, they can result in deliberation over the recent past in societies and, eventually, in changes to societal norms. Courts are, however, often insensitive to local complexities, which leads them to alienate local publics and threaten the legitimacy of political elites and institutions. This hampers the spread of their message and means that the norms they are attempting to instil are rejected or distorted when they reach the public. Efforts are more likely to succeed if they act in accordance with the domestic political and cultural situation. The 1991-1995 conflict in Croatia remains central to the Croatian political and cultural spheres. The story, or narrative, of the war is dominant, emotional and permeates across nearly all segments of society. It forms a part of the Croatian nation and state building projects and is semi-legally inscribed. It is a powerful narrative of bare-armed self-defence and victimhood against a larger Serbian aggressor. Its symbolic focal points are once besieged cities and mass atrocities, such as Vukovar and Dubrovnik, and its memory is actively kept alive by Croatia’s most powerful civil society actor, war veterans. Perceived threats to the narrative are sanctioned, leaving little space for alternatives. Distorted rule of law. A tolerance for certain crimes has developed, such as revenge crimes, crimes of passion or killings of Serb civilians. Distrust of domestic and international institutions, including legal ones, has left people feeling powerless in an unresponsive system where justice has been imposed from above. This allows for an apologetic attitude towards certain crimes, based on an understanding of the law that is not legally consistent but is consistent with emotional and political narratives, such as the dominant war narrative. Warped attitudes towards Serbs. Croatian national identity has been defined by the war narrative and progressively constructed in opposition to its “Other”, the Serbs. Serbs have come to embody the collective guilt of the Serbian state and the suffering of Croatia. The Serb minority in Croatia is consequently defined in terms of security. Legally prescribed minority language rights are seen as a threat to the Croatian nation and state. The result is that Serbs are tolerated, but their rights are consistently curtailed. War veteran dominance of civil society. War veterans and their associations have become the most influential part of Croatian civil society. Political parties manipulate associations for political gain, but also reproduce this structure. The result is that funding and influence of civil society organisations is dependent on alignment with the dominant war narrative and, therefore, the nation and state building projects. Croatia, Bosnia’s benevolent saviour. 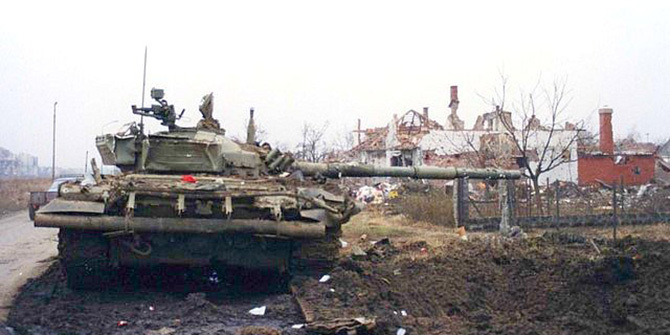 Croatian involvement in the conflict in Bosnia-Herzegovina had the potential to undermine the notion of exclusive self-defence, but this did not occur. Instead, Croatia is seen as Bosnia’s benevolent saviour. International legal verdicts that implicated the Croatian state in the Bosnian conflict were rejected by both elites and the public. They were interpreted as proof of ICTY incompetence and political bias against the Croatian state. The public gained this view of the court during key dramatic moments, such as the televised in-court suicide of Slobodan Praljak, which allowed its message to become hijacked by nationalist actors. Can war crimes trials instil human rights norms? The Croatian case shows the limitations of legal mechanisms to transform societal narratives when faced with localised complexities. The lesson for international organisations is that extra-legal messages, expressed through the theatre of trials, matter. The process occurred, in Croatia as in the rest of the region, in the context of widespread distrust of institutions. Together with a powerful war narrative that is shared by a majority of the public, this hindered the spread of narratives associated with justice and universal human rights. This effect is not monolithic and alternative narratives do exist. Segments of the population, such as younger generations, did deliberate on these topics and showed lower levels of distrust. This space for alternatives is, however, at risk of disappearing. Croatian accession to the European Union and the closure of the ICTY in 2017 has removed international pressure in the realm of human rights and left a void that has been quickly filled by nationalist rhetoric. This shows that these efforts do succeed, but they need to take a less mechanistic approach that takes local conditions into account. 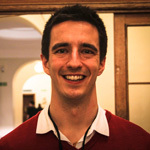 Ivor Sokolić is a Research Officer in the LSE Department of Government.